Honey is sometimes called the ‘miracle of nature.’ In terms of health benefits, honey can strengthen your immune system, help treat many ailments such as arthritis and give you a natural boost of energy. And – it tastes great! Athletes use honey to enhance their performance and reduce pain and weakness of muscles from too much exercise. It’s the glucose contained in honey that gives an extra boost of energy and that can also keep your blood sugar at more constant levels. · Immune System – Honey to your immune system is like using Draino to clean pipes. It rids the body of free radicals that pollute your system and keep it from being able to effectively fight diseases. · Anti-bacterial – If you’ve had problems with your digestive system, honey can use its anti-bacterial attributes to help get your organs working in sync to promote and aid digestion. · Anti-cancer – While honey can’t cure cancer, it can prevent carcinogens and tumors from forming in your body. · Natural home remedy – Honey has been used for literally thousands of years to help treat a myriad of complaints such as yeast infections, skin problems and as a natural method to alleviate pain. · Sleep inducement – Honey has sleep inducing qualities that can help you get a good night’s sleep, especially when combined with a cup of chamomile tea. · Weight loss – Honey contains more calories than sugar, but its ability to help digest fat stored in your body makes it a great addition to your diet plan if you’re trying to lose weight. 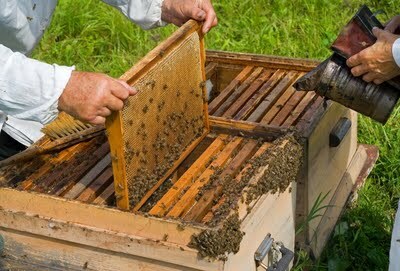 The health benefits of honey are still being studied by the medical and scientific communities. Try to find absolutely pure honey when you purchase it for health reasons. There are many online websites that offer great deals on the purest of honey and many health food stores also carry honey in pure form. Online sites make it easy to browse through teas and honeys at your leisure. Be sure and find sites that offer pure products and take pride in the way they process and package the items. Consumers have become much more sophisticated about the various types of tea and honey, prompting tea houses and honey producers to cater to these savvy clients. It’s fun and rewarding to add tulsi tea, green teas and honey to your diet as a supplemental drink – it’s a healthy and delicious plan.